Torre del Mar is located on the Eastern Costa del Sol. Torre del Mar is a tourist resort situated south of the larger town of Velez Malaga. Malaga International Airport is the closest gateway a mere thirty minutes away by car. Torre del Mar was once a fishing and agricultural village which has transformed itself into a major tourist destination on the eastern Costa del Sol. The resort is at its busiest during the summer months from June to September where tourists flock to the resort from all parts of Spain as well as Europe. Are you an expat in Torre del Mar? What do you like/dislike about it? Let us know in the comments box at the bottom of the page. Torre del Mar has an impressive four kilometre long beach and promenade which stretches all the way to the neighbouring village of Caleta de Velez. One of the attractions on the beach is the chiringuitos which serve barbequed meat and fish dishes during the peak tourist season and on the weekends all year round to the local inhabitants. The main tourist hub of the resort can be found on the Paseo de Larios and the Avenida de Andalucia where you will find the majority of the restaurants, bars, pubs, discos, banks, shops and supermarkets. Shopaholics can indulge in retail therapy at the El Enginio Shopping Centre which is one of the largest shopping centres to the east of Malaga. Things to do in Torre del Mar apart from spending days at the beach can be playing golf at the nearby Baviera Golf Course which is a five minute drive to the east of the resort centre. To the west of the resort is the Añoreta Golf Course which is neatly situated between the tourist resorts of Hacienda Conde and Rincon de la Victoria. The Aquavelis Water Park is open from June until September. Day passes start at €15 fro children aged 4-12 and €20 for adults. For further information, opening times and special offers you can look at http://www.aquavelis.es. The Parroquia de San Andres Apostol is located on the Avenida Andalucia and is also well worth a visit. Days out can be spent exploring the neighbouring resorts of Nerja, Torrox, Caleta de Velez and of course the town of Velez Malaga. An hour and a half away by car is of course is the city of Granada, which is a major tourist hot spot as it is steeped in history, museums and historical buildings. The Embalse de los Bermejales is a quiet beautifully tranquil lake approximately a ninety minute drive away from the resort where the scenery is that stunning that it more than makes up for the journey time. Further a field are the great cities of Cordoba, Seville and Ronda which make for much more than just a day trip. Accommodation wise Torre del Mar has fifteen hotels to choose from of which the most recommended include the Hotel Miraya, Hotel Palacio Blanco, Hotel Dila, Hotel Paraiso and the Avenida Hotel. A well know apartment complex where you can rent an apartment by the week are the Holiday Apartments Cortijo Las Vagas, while there are also plenty of three and four bedroom villas with swimming pools to rent as well. Going out in Torre del Mar is definitely more exciting if you head off to the top locales recommended by the Trip Advisor which include the La Monda Bar Restaurant, La Cueva, Mas K Tapas Café Bar, Chiringuito Rosa, Brujas Lounge, La Nenna and La Tasca. Torre del Mar nightlife venues include Anticuario, Mojito, Cape Diem and La Caverna. The top nightclub in the resort to visit is the Discoteca Acero. 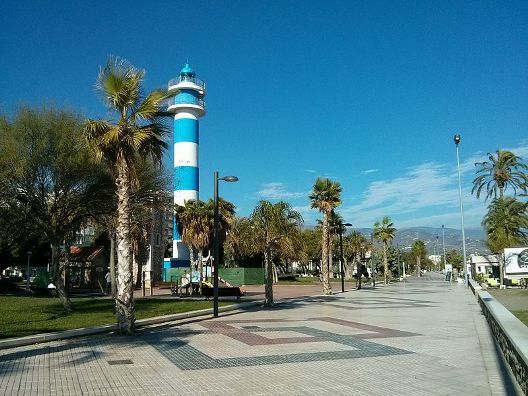 Torre del Mar is a great tourist resort to experience more of an authentic Spanish each holiday. The only demographic that might find this area slightly lacking is the younger adults, that will maybe be unsatisfied with the night life on offer. I would say around 75-80 percent. Lots of good restaurants and bars. The beach is also very nice. At least two different private clinics with a wide arrange of services; at least a dozen different dentists and of course the very large Hospital Comarcal. As explained earlier, Torre del Mar, as well as Almayate and Caleta de Vélez are all part of the much larger Vélez Málaga. Caleta is mainly residence to the larger more luxurious properties, and have a bit less to offer in terms of leisure. Almayate is a much more quiet little village with a few great restaurants and huge Avocado and Mango exports. I’m not entirely sure here, but I think the closest one is Novaschool. I cannot comment on the quality though. Not at all. The only relevant crime is during summer, where theft (without violence) is a bit more common; mainly when tourists leave their things at the beach when going to the bathroom or buying an ice cream. It is definitely a good time to buy still, though very cheap properties are beginning to be hard to find. There are quite a few from which to choose. Depending on financial capabilities and proximity to the beach mainly. 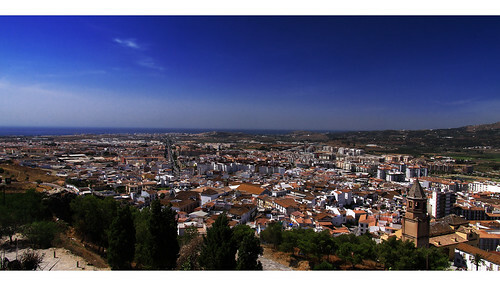 A large part of Caleta de Velez, and La Viña in Torre del Mar are high-end areas where most people would like to live. How much are the typical property prices in Torre del Mar for apartments, villas etc? A studio near the beach will cost around 60-80,000. A 2-bed apartment near the beach will cost about 120,000-150,000. A very nice 4-bed villa in Caleta or La Viña, will cost between 200,000 and 1,000,000. Any tips and advice to people looking to buy in Torre del Mar or surrounding area? That people come by our office and explain us their situation and we will gladly help as much as possible. Andreas, thank you so much for taking the time to help our readers with your experiences in Spain. If you want to contact him, you can find his details below. Hello there – we have a small apartment in Caleta de Velez and we are bringing out a couple of fold up bikes in April so that we can use them when we visit. Could anyone advise us where we might buy an outdoor storage container to put on our balcony so that we can keep the bikes locked up and stored permanently. We will be hiring a car when we visit so we could drive somewhere to collect it and we wondered if there might be somewhere in Torre del Mar or Velez Malaga to purchase the item. In an ideal world we would like to order something to be delivered when we are there but we have limited Spanish so this could be problematic. We would really appreciate any advice. Thank you. Torre del Mar to Granada takes at least an hour and a half, not an hour as you have suggested.